Note from PersonalProgrammer: For one of our clients (a digital marketing agency in Amsterdam) we are currently looking for a Ruby on Rails developer. 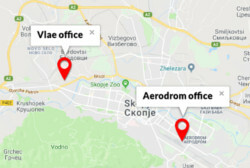 You will work from our office in Skopje but with possibly visits to the clients location. See the job description down below. Our mission is simple: we want to build the best tools for digital advertising. That’s why we’re dedicated to build reliable and fast web applications that look amazing and are capable of processing an incredible amount of data. Working from our office in Amsterdam, we are using HTML5, CSS3 and the Ruby on Rails framework as key ingredients for our main web app: Adstats. We’re looking for a great all-round Ruby on Rails developer to help us improve Adstats and develop future applications that drive the online advertising industry.